Warning: Lots of scenic photos with the occasional waterfall are coming your way. I’ve been to Jamaica more times than I can count. 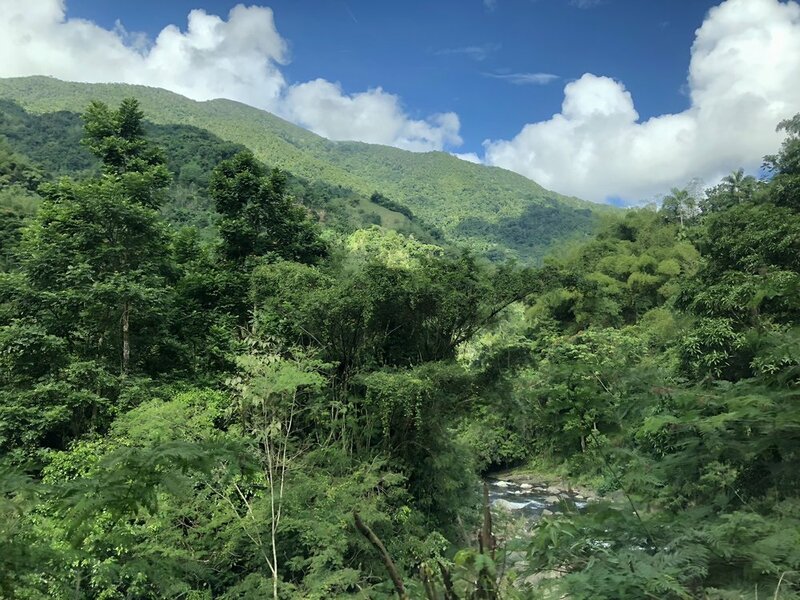 Being of Jamaican descent with many family members still living in Jamaica meant I grew up traveling to the island nation very often, most recently for Christmas and New Year's. Usually when I go to Jamaica, I visit many of the same spots (and I love them!). But I'm always a fan of switching it up, especially when returning to a place I've visited more than once. 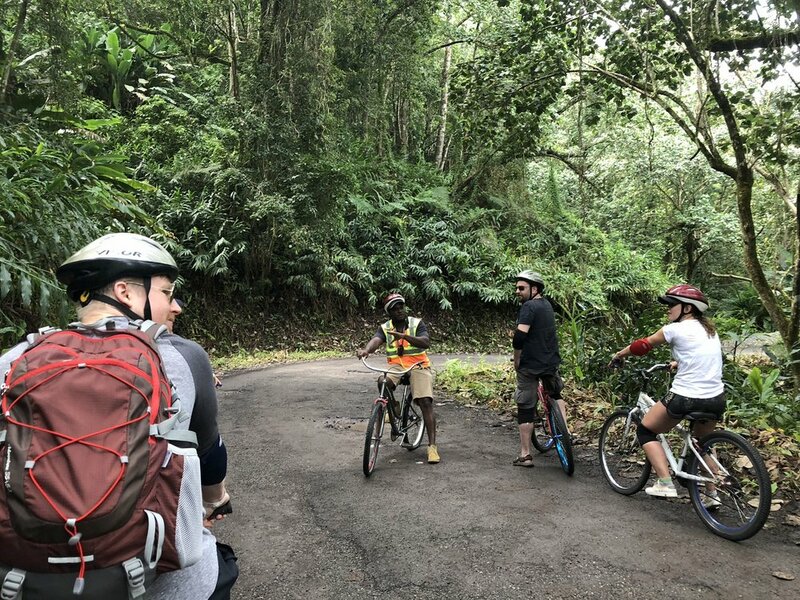 I did just that during this last trip with the help of one of my aunts, who introduced me to Blue Mountain Bicycle Tours, a tour company that offers unique downhill cycling tours through Jamaica’s Blue Mountains. It gives you a unique view of the island that you cannot get in Ocho Rios, Montego Bay, Negril or other popular touristy areas. Now, if you’re like me, you may have read the part about downhill cycling tours and thought, “Downhill?! Cycling? !” Rest assured, the roads are never steep so it’s a very manageable downhill ride. In fact, it's more of a downhill cruising tour that's good for a wide range of fitness levels. Plus, it gives you a unique view of the island that you cannot get in Ocho Rios, Montego Bay, Negril or other popular touristy areas. The day started with a pickup from a hotel not too far from where I was staying in Kingston. Blue Mountain Bicycle Tours does pickups from Ocho Rios, Montego Bay, Kingston and other areas of Jamaica. After meeting our driver, we wove our way through the city before winding our way up into the hills. The drive itself is gorgeous, though not for those with a weak stomach (or maybe you don't know yet if you have a weak stomach until you do this drive). 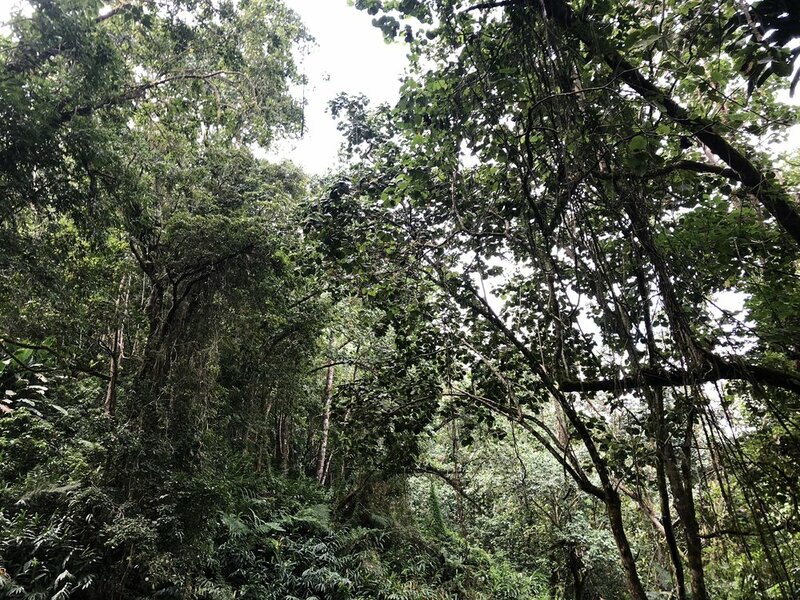 If you’re someone prone to car sickness, this is the part where you just want to look straight ahead and not at all of the lush beauty around you (save that for the bike ride!). 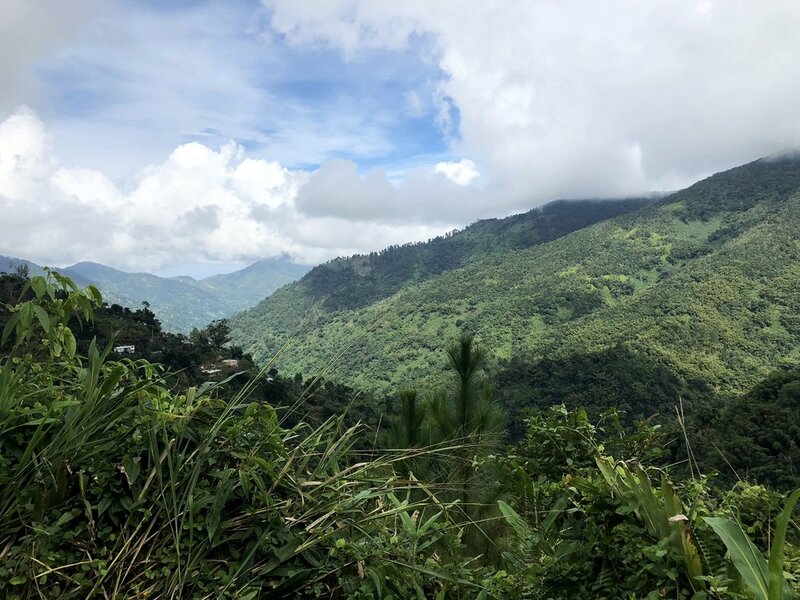 While driving through the peaceful mountains, we learned about some of the history of Jamaica and the parishes we passed along the way. We then stopped in the town of Annotto Bay for a bathroom and snack break (and a mini photo shoot!) and to meet up with the other bus coming from Ocho Rios. Together, we began our ascent up into the Blue Mountains to the area where we would be cycling. But first, food. Before getting our bikes, we pulled up to a restaurant with sweeping views of the mountains. This was where we enjoyed a “light” breakfast of eggs, toast, sautéed vegetables, Jamaican dumplings, fruit, juice, water and the popular and delicious Jamaican Blue Mountain coffee (I’m not even a coffee drinker and I think this is truly amazing coffee). This is also where we signed consent forms, watched a demonstration of how coffee is made, had the opportunity to buy said coffee and picked up our helmets, knee pads and elbow pads. After finishing up everything at the restaurant, we got back on the bus and drove further up to the starting point of the tour. For the downhill cycling, we had the choice of a cruiser bike or a mountain bike. I went with the latter, though I admit the cruiser bikes were prettier. The bikes are not new but they looked and felt sturdy enough to get the job done. For those who aren’t the strongest cyclists or who do not feel comfortable cycling downhill, they also have tandem bikes where you’re given someone to ride the bike with/for you. It’s a great option for those who are interested in participating but are nervous about the cycling. Once we got our bikes and protective gear situated, we listened to the instructions from our guide and then went on our way. The ride itself was split into two sections: first we cycled several miles back to the restaurant where we ate a lunch of chicken, rice and vegetables along with more water, juice and coffee. After lunch, we continued cycling for another several miles, ending at a waterfall where everyone had the opportunity to cool off and swim. It was a fascinating way to hear more about Jamaica, its land and its people. 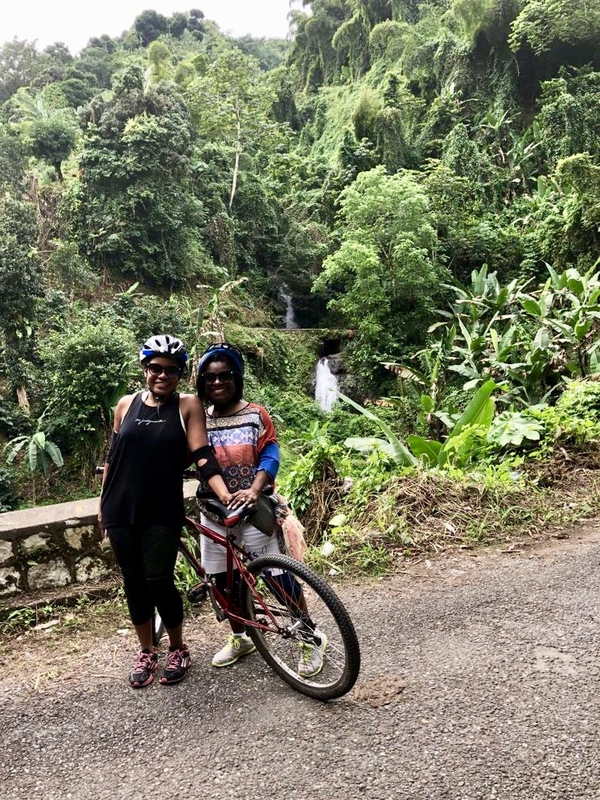 Throughout the ride, we stopped several times, either for photos or to learn about a plant or tree native to the area, including Jamaica's national fruit, the ackee. We also learned about the people living in the areas we were cycling past and how they were able to build their homes on such steep land. It was a fascinating way to hear more about Jamaica, its land and its people. At the end of the tour, after enjoying the waterfall and some more Jamaican juice, we drove back to our respective pickup areas. For our return to Kingston, our driver went a different route and gave us the unique opportunity to briefly visit the Jamaica Defense Force training center in Newcastle. It was a very memorable end to an overall enjoyable, enlightening and remarkable day. I'm so glad I got the opportunity to experience something new that gave me a greater appreciation for Jamaica and its natural beauty. For anyone looking for a break from the beach, head to the mountains!